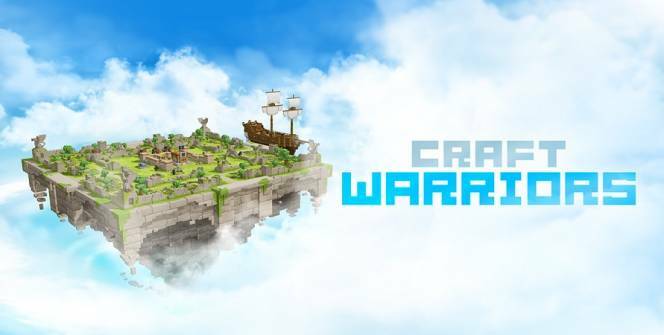 Craft Warriors is a fun and customizable version of Clash of Clans. Clash of Clans is great game however it is very rigid in its gameplay. 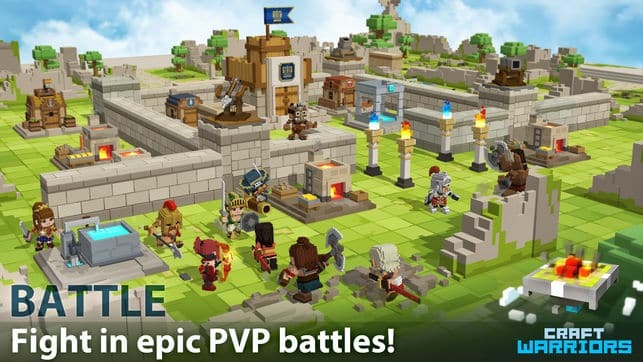 Its core concept is very similar to Craft Warriors for PC where you put your army together and fight against nearby tribes however Craft Warriors allows you to create your own units and warriors from the ground up. The warriors that you create can be created from a number of races including goblins, warriors, the undead, and zombies, which all have unique talents that can be used to your advantage. The primary objective in Craft Warriors is restoring the City of Skyland to its former glory. You’ll restore the city by erecting new buildings and upgrading the old ones so that you can create a thriving community that earns you lots and lots of gold. Battle is included in the game as a way to test how strong your city is against other players, and also to collect resources which you will use to make your city even stronger while rebuffing the attempts of other players to loot your own city. The process is simple and easy to get the hang of. Rebuilding and restoring the city is the easiest part. All that you have to is tap on the ruins and dip into your gold reserves to get them working and producing. The more time and resources that you spend on your city, the more items you will be rewarded with. Building the cities is the core element of the game however the battles are what makes it fun. One of the great things about Craft Warrior is that you are allowed to pick which opponents you want to fight. You’ll make your decision on who to fight based on what kinds of rewards you stand to gain if you win. When the battle starts all that you need to do is deploy your fighters at a pace that you feel is right. They then do all the fighting and looting while the player manages the amount of resources used for each battle. Unlockable items keep things interesting as players progress through the game. These unlockable items include new character-types to deploy, special abilities that can be unleashed on the battlefield and new weapons to carry with them. The artillery and infantry units can also be changed to look however you want them to. Customizable warriors and fighting styles are the selling point in this game. While other games in this genre stick you with generic fighters, Craft Warriors for PC lets you create armies that feel unique which is a major selling point when you’re playing against other players online. Players can only chat with other players who are a part of their clan. Upgrades also take a long time to complete, unless you make a few in-app purchase. Craft Warriors is not a unique game however it does provide a positive change to a genre that is popular among gamers. Sometimes when playing Craft Warriors, bluestacks ask you fee to pay but gives you option to download some apps. Every time it asks you just select “Install apps” and continue using it free. I hope you enjoyed this article, please rate and share. If you have problems running Craft Warriors on your desktop or any other issues, leave a comment below.